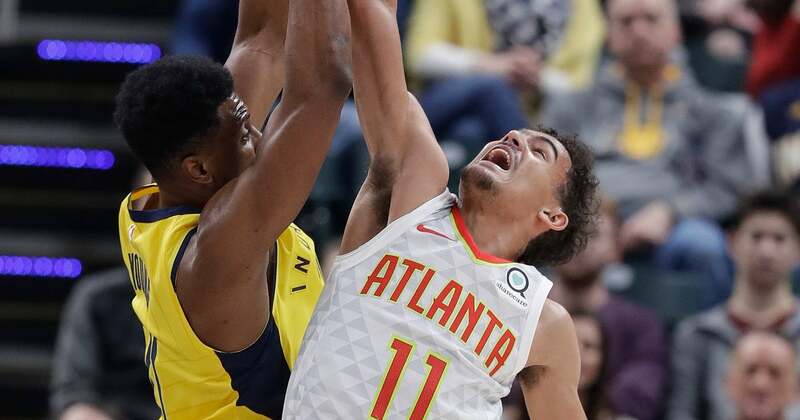 Hawks: Finished 0-3 against the Pacers this season, getting swept in the season series for the first time since 2004-05. … Atlanta’s last win at Indianapolis came Nov. 23, 2016. … Daniel Hamilton scored eight points in place of the injured Kent Bazemore. … Collins has six straight double-doubles. … Trae Young had 16 points and seven assists. … The Hawks had a 53-39 rebounding advantage. Pacers: Finished the calendar year as the NBA’s only team that did not lose three straight games. … Indiana is 19-5 against Eastern Conference teams and 11-2 at home against the East. … All 12 wins in this latest stretch have come by six or more points. … The Pacers streak of consecutive games with seven or more players in double figures ended at three. … Bogdanovic scored 16 points, extending his streak of consecutive double-figure games to 28. Hawks: Make their second stop on a three-game road trip Wednesday at Washington. Pacers: Head to Chicago on Thursday, seeking their fourth straight win in the series.